Alway searching for some new inspirations and techniques. So I wanted to do a really colorful lettering with an oily look like the great painter Rubens did on his paintings. This need new tools for the design process and the procreate app. That’s the fact I need to create new brushes which create this look. 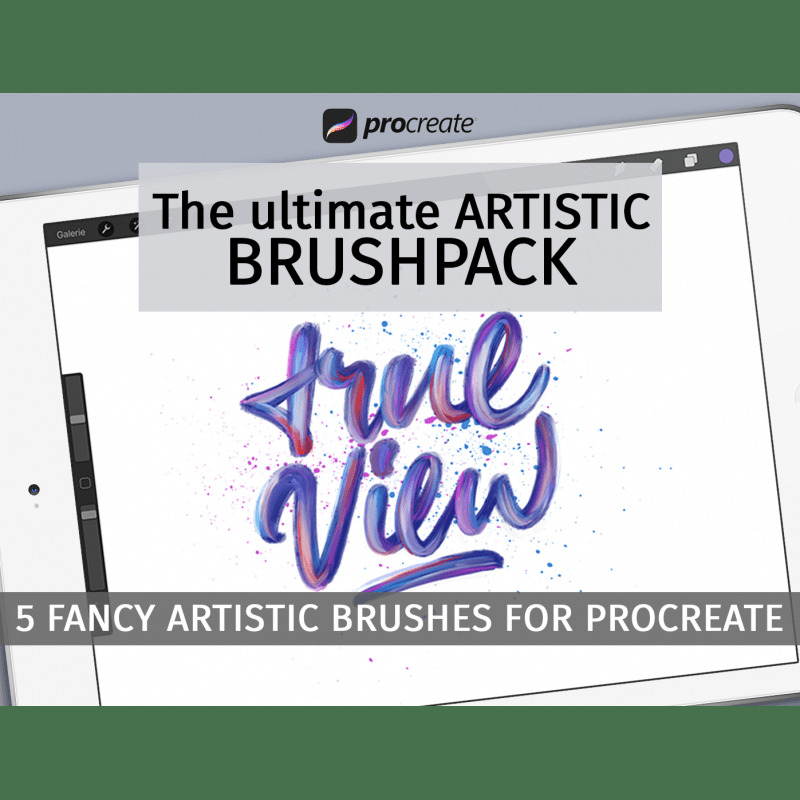 Out comes this super fancy ‚Artistic brushpack‘ for procreate. You’ll get this brush-pack at my store a bit cheaper and also on creative market. Till the end of the month I have an 25% discount with the promo code ‚SFF25‘ at my store. So if you want to save some money you can use this at your purchase. Also I did an youtube video in which you can see these brushes in action. A tutorial on how to lettering very colorful with the procreate app on skillshare.com will give you a very detailed look into this technique. Now it’s your turn testing out some new techniques and leave your comfort zone. I’m looking forward to see your results. Just tagging me in your social media for sharing your work.